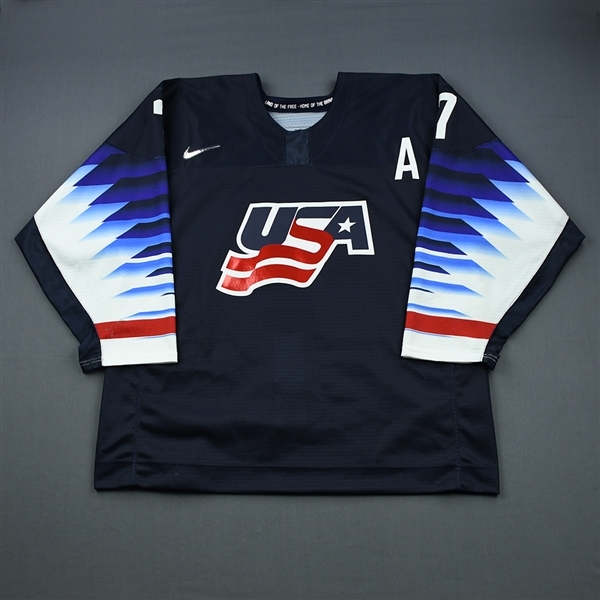 This auction is for the actual blue jersey used by #7 Quinn Hughes. 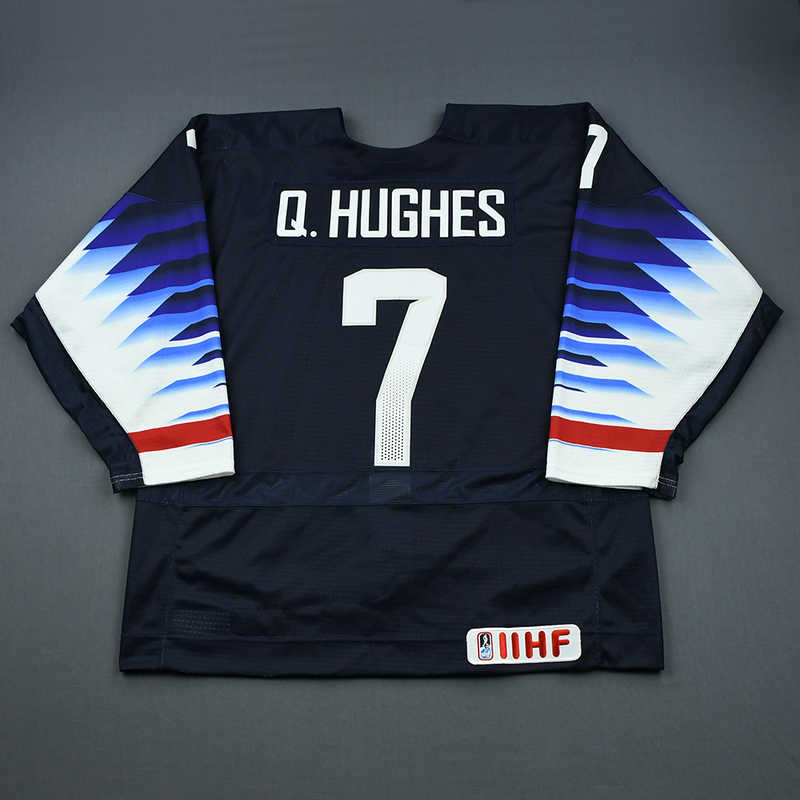 Hughes played in all 7 games. He had 2 assists in the tournament. 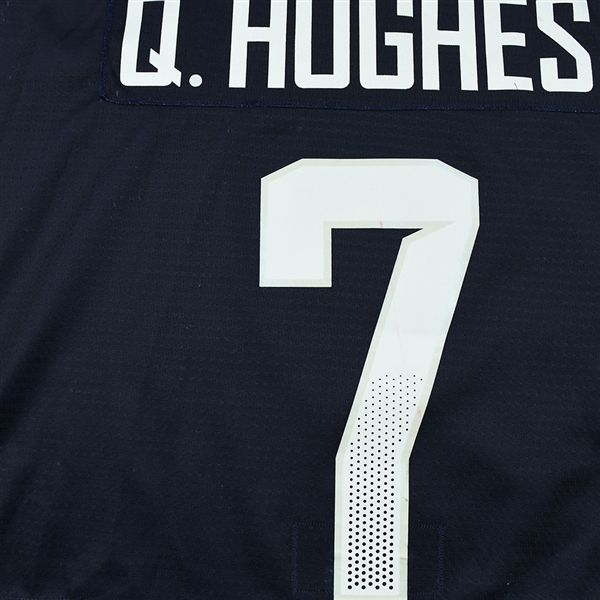 Hughes currently plays for the University of Michigan. 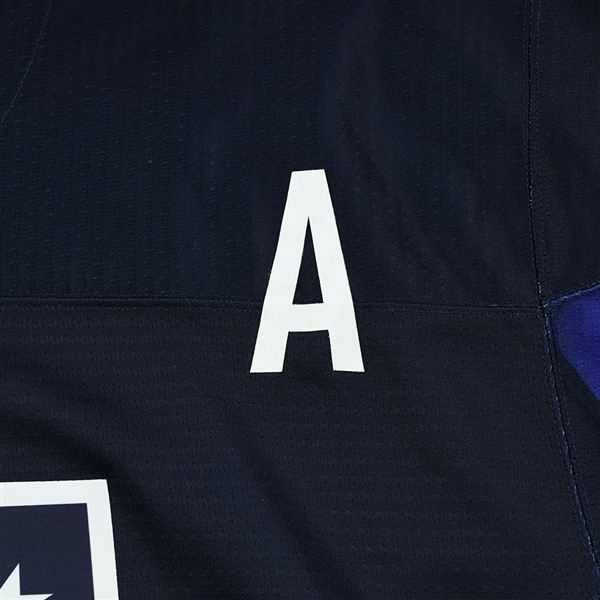 He was drafted by the Vancouver Canucks in the first round of the 2018 NHL Entry Draft. Quinn and brother Jack are the fourth brother combination to play for the same U.S. World Junior Team, joining Mickey and Joey Anderson, Peter and Chris Ferraro, and Neal and Aaron Broten. 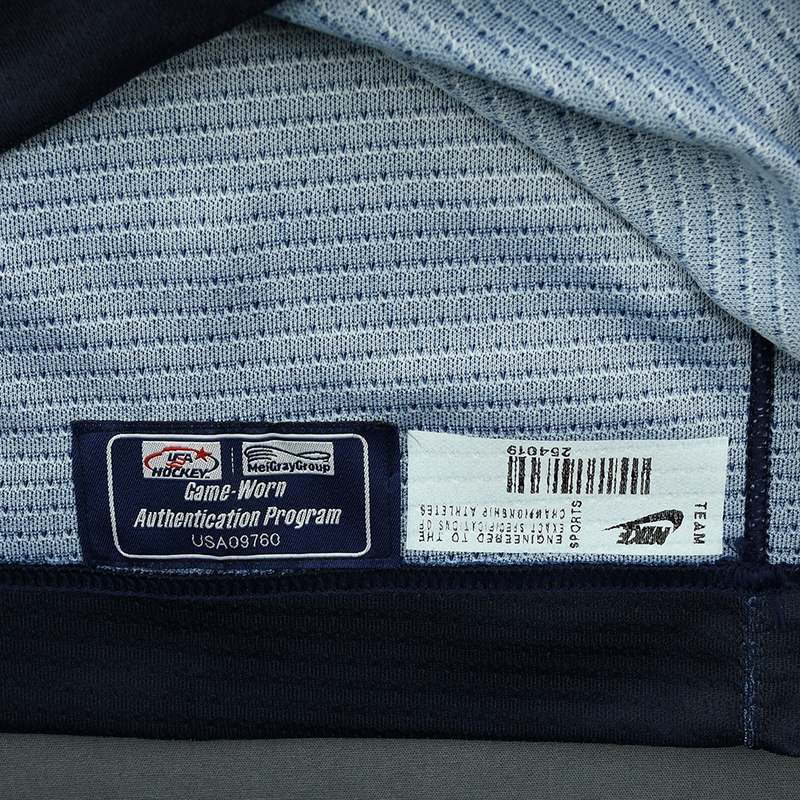 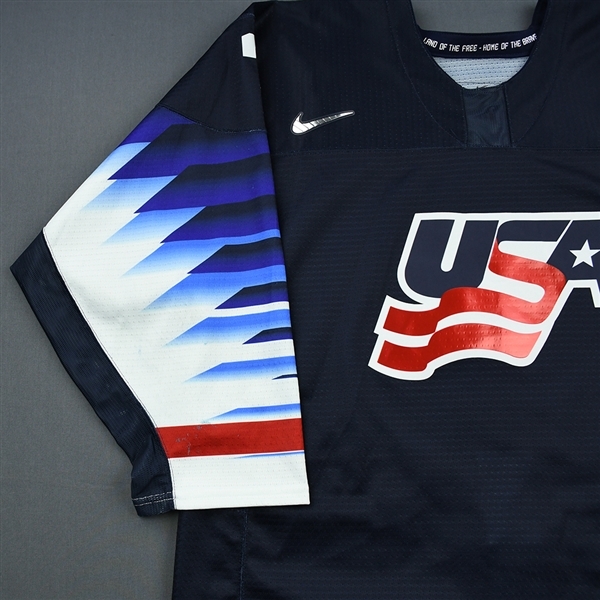 This jersey, a 54, has been registered in the USA Hockey-MeiGray Game-Worn Authentication Program as number USA09760.